Yang's team used glass balls with diameters ranging from 5 µm to 4 mm. They found that the minimum diameter of a glass ball on which a human mesenchymal stem cell (hMSC) can attach and spread is 500 µm. 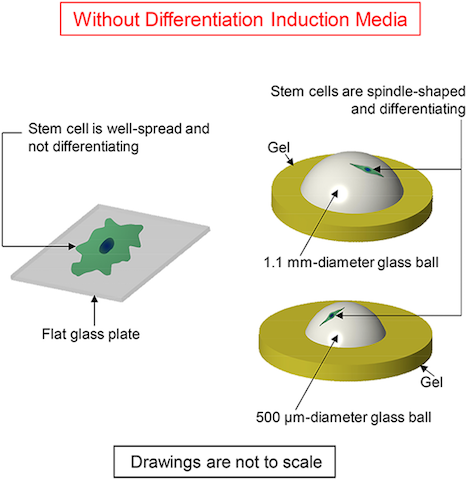 Their gene expression experiments revealed that the hMSCs growing on the glass balls with diameters of 1.1 mm and below were differentiating into fat cells without the addition of any differentiation induction media.